The Macau government is set to analyse various options – including the possibility of legal amendment to existing terms and conditions – regarding any extension of gaming rights for Macau’s current gaming concessions and sub-concessions. So said Lionel Leong Vai Tac (pictured), the city’s Secretary for Economy and Finance, the person responsible for overseeing the city’s casino industry. He made the remarks on Monday to local reporters. The present three concessions and three sub-concessions expire on various dates in either 2020 or 2022. They can be extended in increments of time to a maximum of five extra years from the time of their original expiry. After that, a new concession process must take place, involving a new public tender. 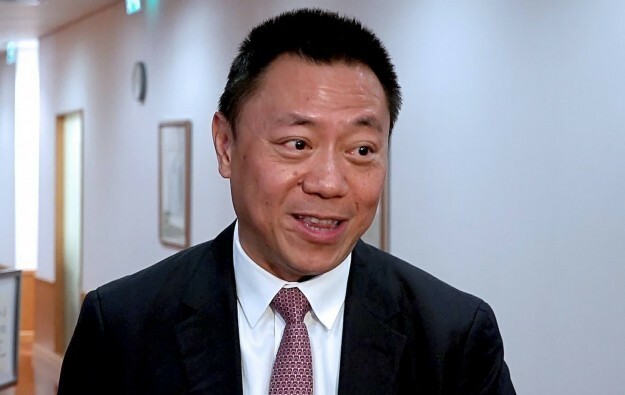 According to a government press statement first issued in Chinese on Monday afternoon – which did not quote him directly – Mr Leong said the Macau gaming industry was facing a new situation as regional competition intensified. He noted the conditions were significantly different from when the city’s government had granted the industry’s current permissions at the turn of the present century. According to the government’s statement, the authorities pledged to study “all feasible directions,” including a review of whether any related laws regarding gaming concessions ought to be amended. It also noted that the administration would continue to “listen to and analyse related opinions on the issue,” including those expressed following the publication in May last year of the “Interim Review of Gaming Liberalisation for Games of Fortune”, a document commonly referred to locally as “the mid-term review”. Secretary Leong said at the time it was issued that there was “no direct relationship between this report and the gaming licence renewal process”. Nonetheless in May 2015, at the start of the review, Mr Leong noted it would “help [casino] operators to do a ‘check-up’ and identify their shortcomings, and [help them find out] what they can do to rectify those shortcomings”. While some specialists in gaming law have indicated to GGRAsia that Macau might ask for a fee from the licence holders in return for extending their current concessions, or that the current tax rate on gross gaming revenue could be increased, there is also the possibility that some conditions might be relaxed. Francis Lui Yiu Tung, deputy chairman of Macau casino operator Galaxy Entertainment Group Ltd, gave some commentary during Global Gaming Expo (G2E) Asia 2017 regarding changing regional trading conditions faced by the Macau operators, including proliferation of casino gambling in neighbouring places in the Asia Pacific region. “We need to keep in mind there are lower-tax jurisdictions actively targeting the highly-mobile Chinese gamblers. At some point in time, depending on the prevailing conditions, there may be a need for all the stakeholders – including the community, the Legislative Assembly, the government and the concessionaires – to have an open and honest discussion on how to ensure long-term competitiveness,” said Mr Lui in a keynote speech at G2E Asia, a casino industry trade show and conference held annually in Macau. Macau’s current effective tax rate on casino gross gaming revenue stands at 39 percent.